The MS Panorama is an elegant state-of-the-art sail cruiser offering first-class accommodation and the highest levels of comfort and safety. The deluxe motor-yacht has been fully renovated and boasts 24 air-conditioned en suite cabins located across the upper, main and lower decks. Public areas are spacious and comfortable, and include a chic salon-restaurant, a choice of upper and main deck lounge bars, and a large sun deck. There is also a swimming platform located at the rear, equipped with ladders for easy access to the turquoise water during swim stops. Fishing and snorkelling equipment is also available. 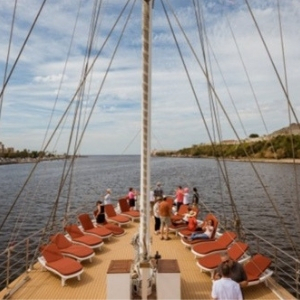 The fully renovated MS Panorama was launched in 1993 and offers the highest standards of comfort and safety. The deluxe motor-yacht features 24 air-conditioned and spacious cabins that accommodate up to 48 guests. 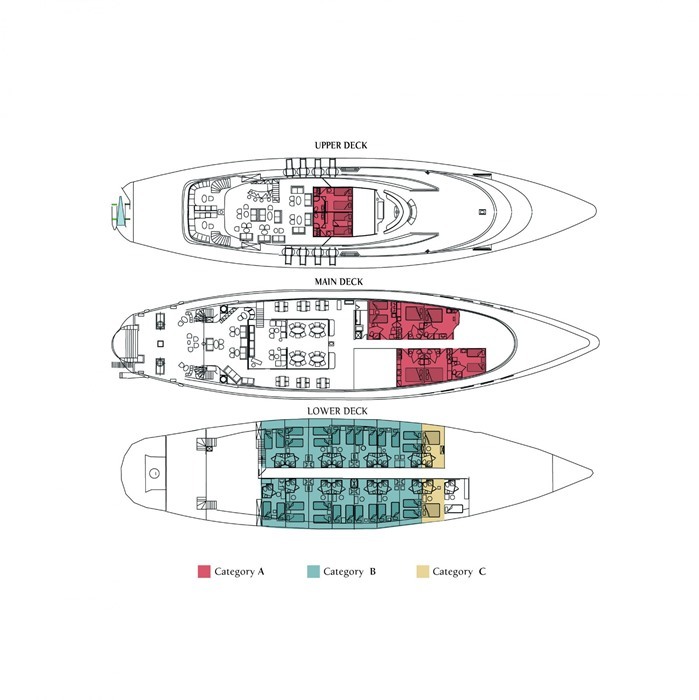 The standard double and twin cabins are located over the upper, main and lower decks. Communal areas of the vessel provide the perfect place to relax or socialise with fellow guests. 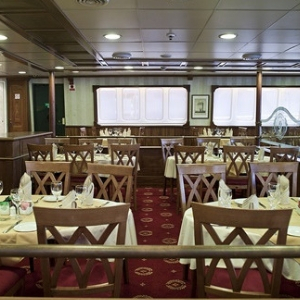 The air-conditioned salon-restaurant flaunts elegant décor, a sociable seating arrangement and large panoramic windows. The indoor upper deck bar extends outdoors to provide an alternative alfresco entertaining option. 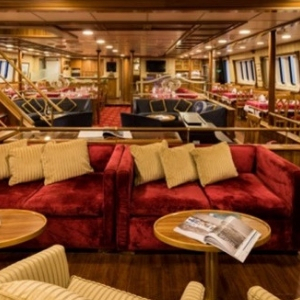 Arranged over the upper, main and lower decks, the 24 air-conditioned cabins provide a comfortable and relaxing environment with an excellent range of amenities to hand. The spacious double and twin standard cabins feature a private en suite bathroom with shower, flat-screen TV, wardrobe, in-room safe, hairdryer and complimentary toiletries. The décor is classic and refined and features wooden furniture and light, modern fabrics. 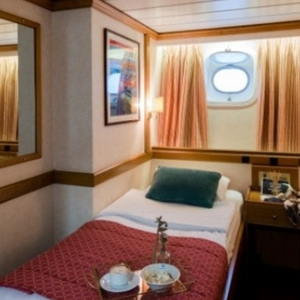 The upper and main deck cabins boast a window view, whilst lower deck cabins have portholes. WiFi is available at an additional charge. During the day, guests can admire the spectacular ocean views from the comfort of the upper deck indoor-outdoor lounge, or from the large sun deck that is equipped with plenty of sun loungers. The swimming platform located at the rear of the ship provides easy access to the inviting turquoise waters during scheduled swim stops. Buffet breakfast and half-board meals are served in the spacious air-conditioned salon-restaurant that accommodates all guests in a single sitting. End the evening with a drink in one of the elegant lounge bars, located on the upper and main decks.